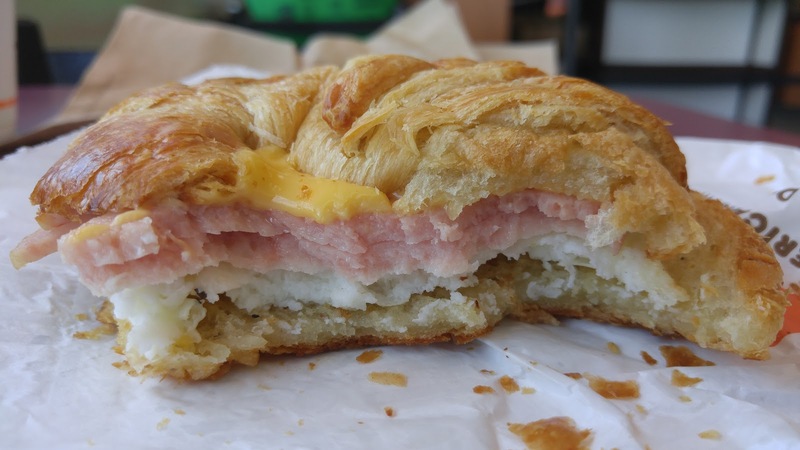 If you live outside of the New York region, you wouldn't know that Dunkin Donuts introduced a Pork roll, egg and cheese on a croissant. 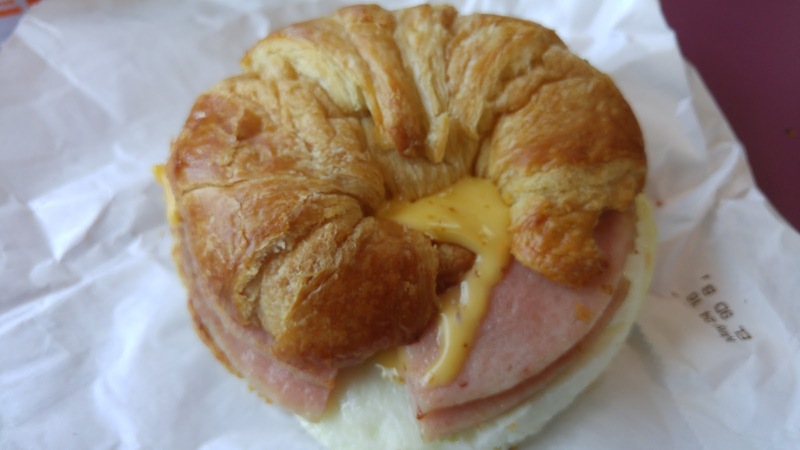 Here, we call it Taylor Ham and it's always made on a hard roll, or Kaiser roll for the rest of the world. The result: Terrible!. Doesn't even taste like Taylor ham. If you eat it with the cheese on the bottom, it will turn into mush in your mouth. Slightly improved if you turn it upside down, but still bad. I don't think KETCHUP (or catsup) would have helped.